Application of rust preventives and other protective coatings. 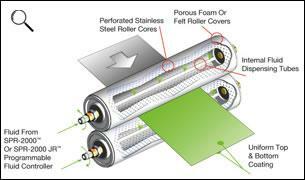 Pneumatic roller pressure models available for stock widths from 3 to 23.5 in. (76mm – 597mm).